The Opera browser now lets you connect to the internet securely and anonymously thanks to its new integrated VPN. More than a month ago, we were celebrating the release of an integrated VPN in the beta version of the Opera browser. We predicted that this release was a step toward its inclusion in the final version of Opera Browser. A fact that we can now celebrate given that the version 51.0.2461.137360 of the browser now offers a free integrated VPN. And of course, you can download it right now from Uptodown. It’s never a bad idea to have a little extra security when it comes to browsing the web. This is especially important to keep in mind when connecting through public WiFi networks. 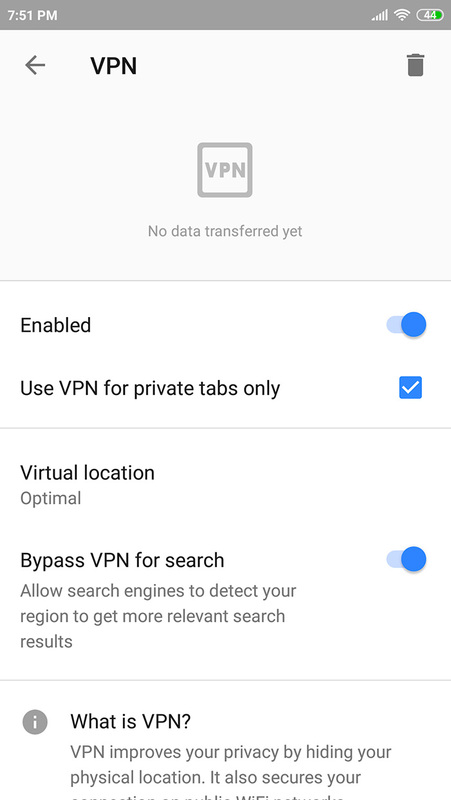 Back in the day, we mourned the shutdown of Opera VPN and that’s why we’re so happy about finding similar features through the company’s browser. We read in Opera’s blog that this VPN service stands out for being free, easy to use, and doesn’t track your activity. All features that we saw in its beta, but it’s always nice to be reminded. Tap the options button in the browser (The Opera symbol in the lower right corner). Access the settings (the last option available). Enable the VPN connection by tapping the icon to the right. These steps will only take a couple seconds to complete. Honestly, it’ll take you longer to read the instructions we’ve given you. But if you need a more visual explanation, you can check out the images below. 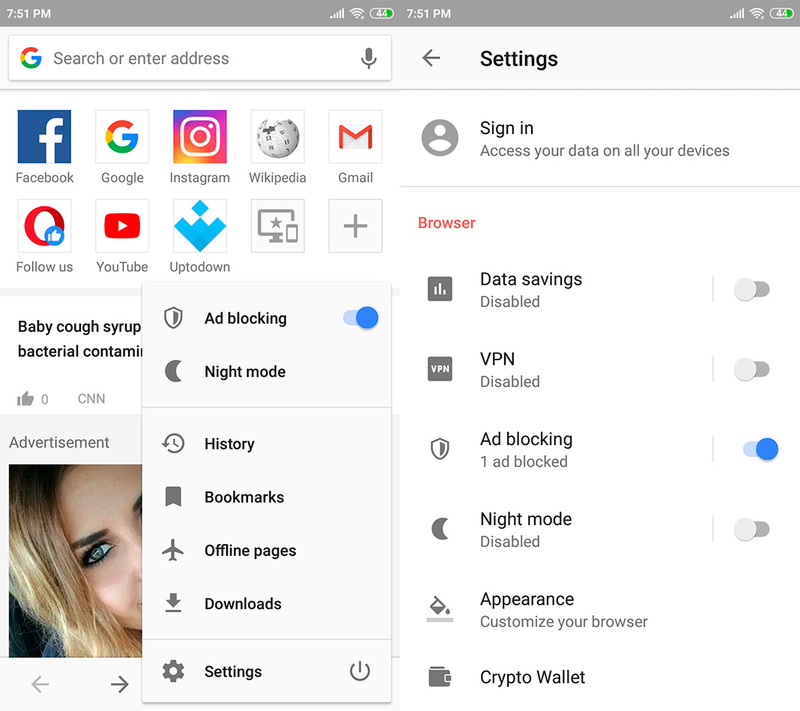 The Opera browser also lets you customize its options a little bit: select the browsing location (Optimal, America, Asia, and Europe), omit the VPN connection for searches, and choose if you only want to use it in private tabs. It’s simple and any user can use these options without a single problem. Thanks to this new feature, the Opera browser stands out from the competition. Although we recommend the use of well-known VPNs and they tend to be paid, the truth is that we couldn’t find anything wrong with Opera. This brand has always been synonymous with quality.